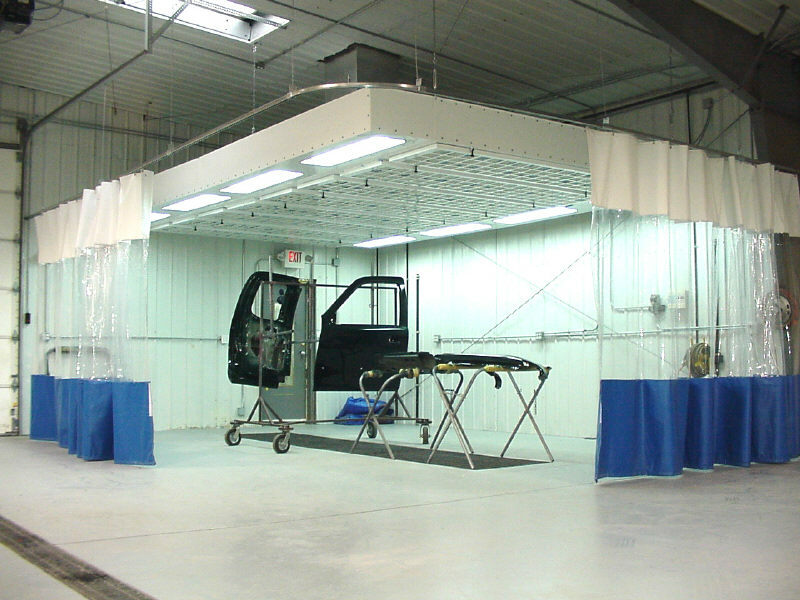 We offer the best equipment value in the spray booth industry. All the Spray Booths on the following pages share a common design, in that they are modular in their construction. Whether it's a Down Draft, Semi Down Draft, Side Draft, Cross Draft or even a Truck Booth. This makes for a more versatile and customizable booth to fit the needs of your shop. If you don't see what you want, ask us. We can do just about anything! Our Prep Stations Featuring our fully lighted Technostation. This equipment is available from the simple exhaust bench to the complex fully heated, filtered overhead plenum with full lighting & a ring of shop curtains. Again easily customizable, just check out the photo gallery. Our Mix Rooms are available in just about any size, and can be connected via a Vestibule to ours, or just about any booth you all ready have. 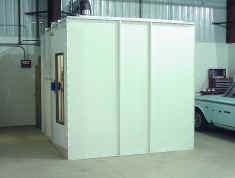 All Technocure Spray Booths comply with all NEC, OSHA and NFPA regulations. The all around best is an Air Make Up Unit (AMU). This gives you the ability control both the Spraying & Curing Temperatures, While keeping a positive pressure in the booth cabin. See where your booth is made.